Destinations Covered : Delhi - Udaipur - Jaipur & Agra. Upon your arrival in Delhi International Airport our “Travel Site India” a repetitive will assist you about the further tour arrangements with the require documents and will drop you at the selected Hotel by you. Overnight stay at the hotel. After Breakfast at the hotel, you will pro ceed for the Delhi City Tour followed by a full day guide. He will explain you about the Delhi historical city which covers the Qutab-Minar, Humayun’s tomb, India Gate, Jama Masjid, Red fort, President House and the Parliament House. Later on proceed for Udaipur. Upon arrival at Udaipur our “Travel Site India” a representative will assist you to transfer to the designated Hotel. Overnight stay at the hotel. After Breakfast at the hotel, proceed for Udaipur City Tour. Udaipur which is at an altitude of 577ML, is surrounded by lakes. It is fun – frolick place where you can see the City Palace which encloses the Worlds’ Largest Crystal Gallery by present Maharajah Gajner Singh Ji; Fatesagar Lakes with hundreds of catfish in it; Jagdish Temple and Sahalionki Bari. In the evening we shall take to you see the dying art of India – the Puppet Show at Meera Kala Mandir. Enjoy the evening boat ride at Lake Pichola in Udaipur. Overnight stay at the hotel. After Breakfast at the hotel, proceed for Eklingji Temple Visit. Eklingji is a Hindu temple complex in Udaipur District of Rajasthan in western India. Eklingji is believed to be the ruling deity of Mewar Princely State and the Ruler Maharana rules as his Dewan. Eklingji, a form of Lord Shiva. The beautifully sculpted temple complex includes 108 temples within its high walls. The main temple, which dates to the 15th century, was rebuilt from the ruins of an earlier destroyed temple. The walled complex is made ofmarble and granite and has an enormous double-storied, elaborately pillared hall or "mandap" under a vast pyramidal roof, with a four-faced image of Lord Shiva in black marble. Continue drive towards Jaipur……. Upon arrival at Udaipur our “Travel Site India” a representative will assist you to transfer to the designated Hotel. Overnight stay at the hotel. After a healthy breakfast at the hotel, proceed for an excursion tour of the Amber fort and enjoy the Elephant Ride. There after proceed for a city tour in the afternoon and vist the Hawa Mahal, the City Palace, Museum and JantarMantar Observatory. After Breakfast at the hotel, proceed for Agra. En-route visit to Fatehpur Sikri. Fatehpur Sikri is famous as “Buland Darwaza“ which is situated on the pick. Overnight stay at the hotel. Early Morning Visit the most beautiful “Taj Mahal” one of the wonders of the world. Back to the hotel and have your breakfast. 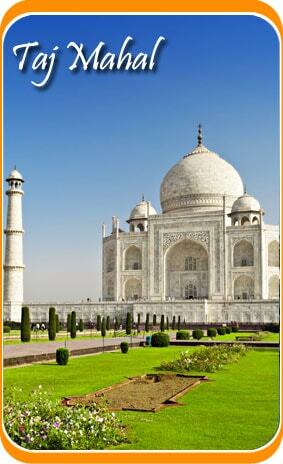 Thereafter proceed for Agra City Tour and visit the Agra fort, Akbar’s tomb at Sikandra and Itmad-ud-Daulah’s tomb. Later on proceed for Delhi, upon arrival in Delhi Airport our “Travel Site India” a representative will assist you to board a flight for your onward destinations.